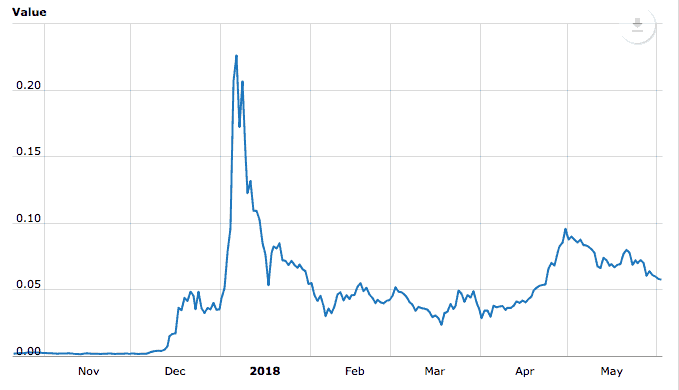 Tron cryptocurrency rose to fame last year. Since then, it's become one of the most popular and most traded cryptocurrencies on the market. But what exactly is Tron (TRX)? If you’re looking for answers, this guide will run you through 30 questions about Tron cryptocurrency. Read on or skip to the section you’re interested in. 1. What Is Tron Cryptocurrency? 2. What Is Tron Cryptocurrency Used For? 3. What Does Tron Cryptocurrency Do? 4. How Does Tron Cryptocurrency Work? 5. What Are The Advantages Of Tron? 6. How Does Tron Cryptocurrency Impact Net Neutrality? 7. How Is Tron Cryptocurrency Different? 8. Can You Tell Me About Tron Cryptocurrency Uses?. 9. Where Is Tron Cryptocurrency Used? 10. Who Designed Tron Cryptocurrency? 11. When Was Tron Cryptocurrency Created? 12. Who Owns Tron Cryptocurrency? 13. How Much Is The Cryptocurrency Tron Worth? 14. What Is The Projected Growth Of Tron Cryptocurrency? 15. Why Is Tron Cryptocurrency Falling? 16. Will Tron Cryptocurrency Be Huge? 17. Is Tron Cryptocurrency A Scam? 18. Is Tron Cryptocurrency A Good Investment? 19. Has Tron Cryptocurrency Crashed? 20. Is Tron Cryptocurrency Working With Alibaba? 21. Do You Have A Chart Of Tron Cryptocurrency? 22. What Is Tron Cryptocurrency’s Website? 23. Where Can I Find Tron's White Paper? 24. Where Can I Find Tron Cryptocurrency News? 25. Where Can I Find The Cryptocurrency Facebook Page? 26. What is Tron Cryptocurrency’s Symbol? 27. How Do You Invest In Tron Using Bitcoin? 28. Which Exchange Supports Tron Cryptocurrency? 29. Which Wallets Are Available For Tron Cryptocurrency? 30. Where Should I Keep Tron Cryptocurrency? Tron Cryptocurrency (TRX) is a decentralized, digital content entertainment system. It’s one of the biggest blockchains in the world. 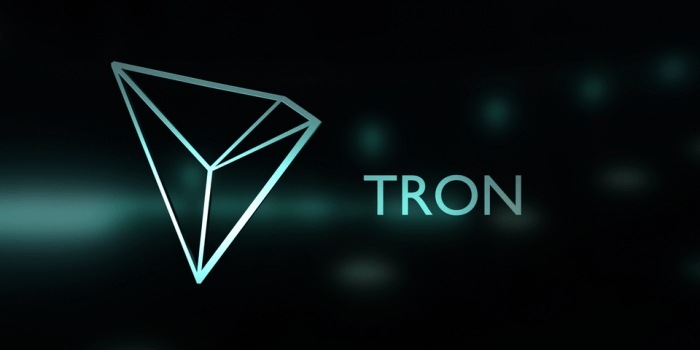 The actual currency of Tron is Tronix. Tron is designed to decentralize content on the web. Tron is still in development, but it’s already announced several high profile partnerships. TRX aims to address the problem of decentralization and censorship on the web. In fact, Tron’s vision has been labelled as Web 4.0. But what problem does that solve? In a world where it’s claimed Facebook and Amazon can influence 75% of the internet, corporations have a significant stronghold over the web’s content. These platforms don’t actually create their own content, but they depend on their users to create it. However, content creators (like bloggers & vloggers) often aren’t rewarded as much as they maybe should be. Creating content isn’t easy. It’s actually quite demanding. 90% of online businesses fail. Website owners often struggle to make their projects profitable. 64% of content creators struggle to produce regularly. Content creation is one of the best things about the internet. But third party platforms often don’t reward content producers as much they’d like. So what is Tron about? Well, Tron is designed to create a more liberal, fairer worldwide content entertainment system. In a world where content producers - vloggers, bloggers, photographers - often have to go through third parties to make money from their content, Tron aims to cut out the middleman. You could use affiliate links via Amazon. You could insert ads to your videos via YouTube. You could use Google’s AdSense network. But all if you use any third parties like YouTube, Amazon or Google, you’re at their mercy. They basically decide if you get paid, how much you get paid and how you’ll get paid. You essentially have no control - even though you’re doing all the work. For example, if you’re using Amazon affiliate links then you need a disclaimer on every page of your website. Or if you’re posting your videos on YouTube, then you have to be careful about censorship rules. So Tron basically puts the power back into the hands of a content producer. There’s no censorship, no worrying about payments and no issues with ‘advertisement-friendly’ guidelines. Tron rewards content producers with it’s Tronix token. Users pay a monthly membership to Netflix for content. This content is made by producers but controlled and managed by Netflix. Netflix is the middleman, taking a cut from the producers for distributing content to it’s paying members. So what does Tron cryptocurrency do differently? The audience pays content producers directly. Rewards and payments are distributed via Tron’s blockchain. There’s no middleman taking a slice of the pie. And overall, the internet could become much more decentralized, more content driven and more rewarding for the people who help create it. It sure sounds nice, but it’s hard not to be cynical. Overall, Tron aims to create a level playing field. It’s completely decentralised via the blockchain. Content producers receive more rewards. As the internet is dominated by content (social media, Google, YouTube etc), Tron ensures there’s no overarching authority controlling the internet. Tron is more efficient, cutting out the middleman. It eliminates the problems associated with creating advertisement friendly content. It’s automated via Tron’s blockchain protocol. This therefore eliminates the monopoly content firms have over the internet. The other advantage of Tron is that it could help resolve the issue of net neutrality. As consumers, we want the right to our privacy right? Most people would agree that they want control over their data and the content they see. But what if third parties could view your data and influence how you view the internet? On an extreme level, can you imagine how dangerous that could be? It could influence a presidential election. Personally, this stuff doesn’t worry me too much. But I can see the dangers in ending net neutrality. And of course, implementing complete net neutrality is difficult to administer too. Especially when huge third party platforms like Google or Facebook can easily influence what we see and when we see it (if they wanted). With Tron’s proposed decentralization model, it’s creating a world where no third parties can influence what we see. This hands back control to us as users of the internet. Tron’s concept is quite unique, especially when you compare it to other cryptocurrencies such as Bitcoin, Ethereum or Litecoin. They’re proposing a complete renovation of the internet. And this could send ripples across the web. Tron is designed specifically for the content and entertainment industry. TRX isn’t a storage of value per say, it’s more like a reward system. It doesn’t monetise itself based on user’s data - unlike platforms such as Facebook where advertisers pay for detailed user data. Tron isn’t limited to entertainment. TRX’s blockchain can be harnessed to create new token reward systems, as you’ll discover below. Unlike many cryptocurrencies, Tron is already being used. We’ll look at some real world examples below. The key concept of Tron is that it’s rewarding people for producing great content. Video producers - e.g. YouTubers. Anyone seeking to monetise their content. Anyone looking to protect their data and have complete control over the content they see. And of course, anyone seeking entertainment and new content. But it doesn’t end there either. There’s some other interesting use cases for Tron that you may not have thought about. I’ve explained a few real world examples below. Companies can launch their own coins via the Tron platform, essentially creating their own token system. Just like Ethereum, you can launch ICOs from the Tron protocol, therefore taking advantage of it’s decentralized blockchain. 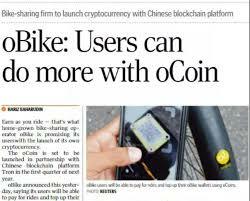 oBike partnered with Tron to create a coin called oCoins. This coin rewards people for riding bikes. The longer they ride, the more oCoins they earn. 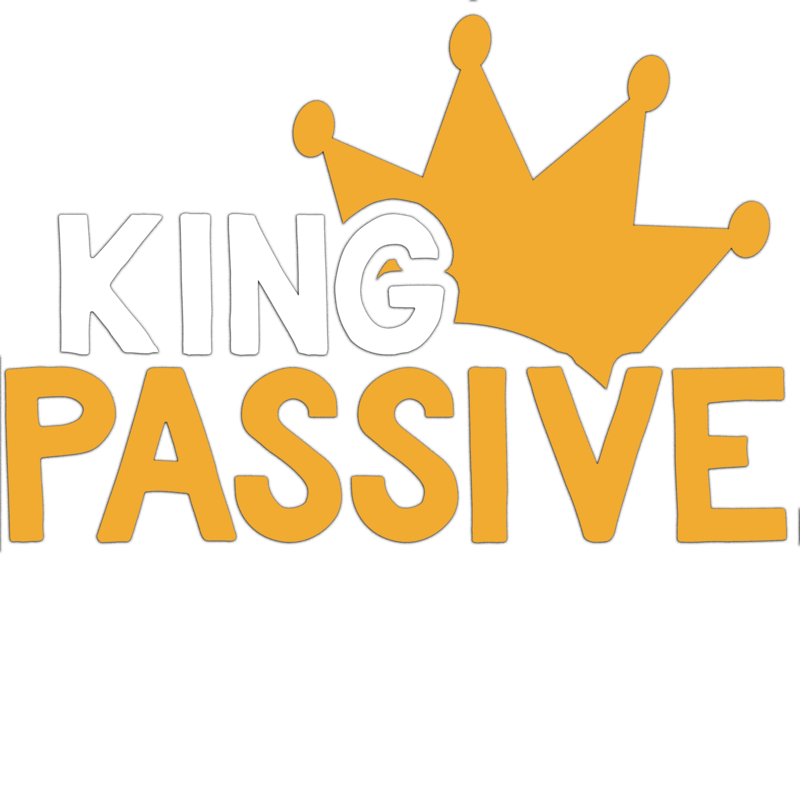 This coin can be then be used to buy content online from companies like Peiwo and Uplive. This partnership was announced in December 2017. Game.com agreed a strategic partnership with Tron in early January 2018. Their cryptocurrency GRC will be used for video gaming blockchain projects. This platform is mainly used for Pet Planet. The concept is a little complex, but essentially you can either buy dogs, or you can buy a store and sell dogs. Note: Want to learn more about Pet Planet and it’s integration with Tron? Check out this guide. Peiwo is an audio community, kind of like an audio version of Snapchat. It’s actually the largest in China. The preliminary integration of Tron and Peiwo (another of Justin Sun’s creations), has been announced. This could mean big things for Tron, because this cryptocurrency will integrate with Peiwo’s audience of 10 million users. The potential and scale of this project could be massive. Another partnership announced with Tron is Global Social Chain, which has over 100 million users. 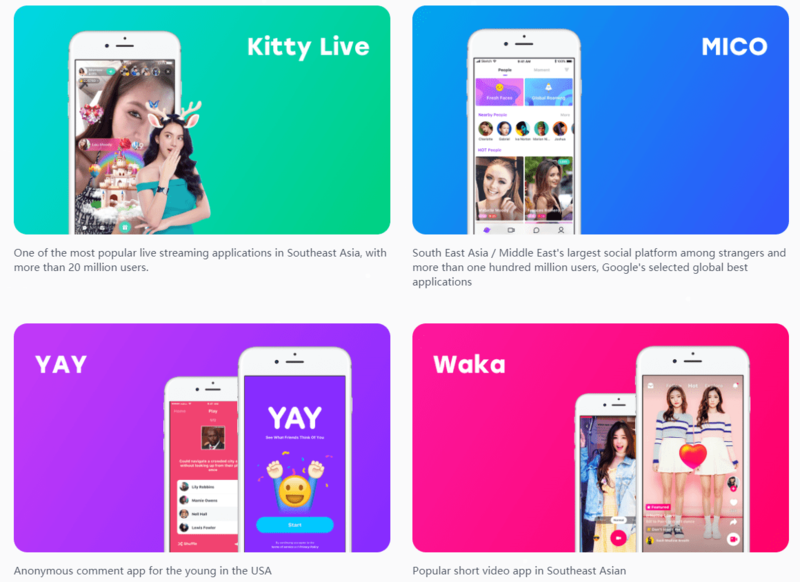 So what is Global Social Chain? It’s a decentralized social network - the first of its kind. If users like someone’s content, they can buy gifts for the content producers. It also gives more control over a user’s privacy settings, unlike social networks like Facebook which have been criticised for taking advantage of personal data. And how does it integrate with Tron? GSC was created using the Tron blockchain. So when I mentioned earlier than fans can buy content producers gifts, the gifts bought by fans will be delivered via the Tron protocol. Essentially, Tron powers the whole reward network. Justin Sun is the founder and CEO of Tron. The Tron Foundation comes from Singapore. He has a very strong background - especially in comparison to most leaders within the cryptocurrency industry. And as I’m sure you’re aware, the team is one of the biggest factors in a cryptocurrency’s success. They captain the ship. He’s seriously ambitious. In fact, he recently tweeted that Tron will become the number 1 open source cryptocurrency project this year. Justin Sun created Peiwo: This app is already very successful, with over 10 million users and it’s the largest audio community in China. He attended one of the world’s most exclusive universities - Hupan University - which has a lower acceptance rate than Harvard. His experience at Ripple Labs could be a useful factor in the future success of Tron. Although Ripple isn’t a direct competitor to Tron, but this experience could be useful in terms of understanding how to increase mainstream adoption of the coin. 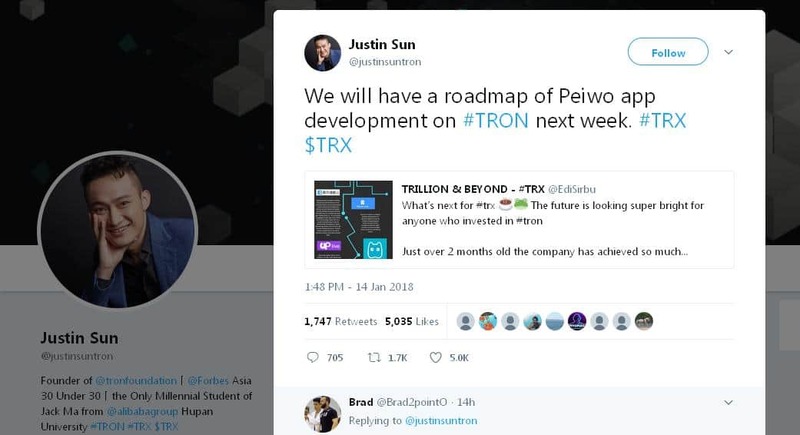 The Tron Foundation was created in 2017, by Justin Sun. Since then, it’s already hit top 10 in terms of total market cap on the cryptocurrency market. Like most cryptocurrencies, it’s crowdfunded. Just like stocks, it’s split between hundreds of thousands of investors on the market. And many of these investors are anonymous. There are currently 1079304 holding the Tron coin (as of 1st June). Anyone can own Tron cryptocurrency, and I’ve explained how to buy TRX later in this guide. As of 1st June 2018, one single Tron is worth $0.0591. TRX’s price fluctuates up and down all the time, so you can check live prices for Tron here. So what is predicted for Tron cryptocurrency? Well, you have to understand this project is relatively new to the market. Since its creation in 2017, it’s already become a top 10 on the cryptocurrency. But in terms of Tron cryptocurrency prediction, TRX has an exciting future ahead of it. That’s assuming the technology goes beyond being speculative and begins delivering on its promises. Justin Sun has already announced he wants Tron to become the number 1 open source crypto project in the world. However, projected growth and price predictions are just educated guesses right now. Whilst Justin’s projected growth for Tron is ambitious, it’s success depends on mainstream adoption, Government policies and TRX’s competitors. These are all factors that no-one can control, therefore it’s impossible to give a fair and accurate prediction. Cryptocurrency is a volatile, unpredictable environment. And right now, the cryptocurrency market is currently bearish. So if you’re wondering why is Tron dropping, it’s because the whole market lacks confidence. Bad news has flooded the cryptocurrency market. This negatively impacts the value of every altcoin in the industry, not just TRX. But no-one really knows exactly what will happen next. Content fuels the internet. And Tron could be powering some of the biggest content platforms in the world. The Tron Foundation has actually accredited by several third parties, to establish it’s legitimacy. Tron’s founder is already proven and accomplished too, as we discussed earlier. Over hyped, misleading statistics such as it’s total user base. Pro Tip: Some say these claims are unfounded, whilst others are critical. The problem with cryptocurrency is that it’s so de-regulated, so sometimes it’s hard to get down to the actual facts. This isn’t something anyone can decide for you. You have to make up your own mind. Content fuels the internet. Tron could power a huge part of that. The whole market crashes every so often - and took down Tron cryptocurrency with it. If you’ve been following Tron’s progression, then you probably know that Tron is rumoured to be partnering with Alibaba. So will Alibaba partner with Tron soon? Well, there are links between the two organisations but nothing is confirmed just yet. Sure, they’ve been pictured together. 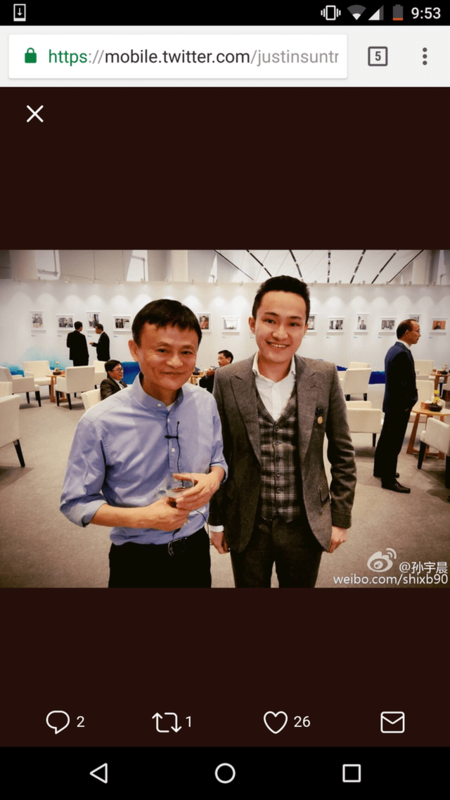 And yes, Justin Sun’s son graduated from a class taught by Alibaba’s Executive Chairman Jack Ma. But I haven’t any solid, concrete evidence as of yet. Until I do, I really don’t think Tron and Alibaba will be working together any time soon. Here’s a chart of Tron since its creation. As you can see, Tron’s price has fluctuated dramatically since its creation. Pro Tip: The cryptocurrency market moves fast. For a more updated chart of Tron, check out the charts on Coin Market Cap. The Tron white paper can be found here. Pro Tip: As like the whole cryptocurrency market, there’s a lot of fake news out there. I’ve listed the above links because they’re resources I trust and they’re regularly updated. You can find the Tron Foundation Facebook page here. Tron’s ticker symbol is TRX. You can invest in Tron using Bitcoin via online exchanges. On most exchanges you can't actually trade Tron with Fiat (traditional currency). Instead you usually have to use Bitcoin, Ethereum or Litecoin. I’ve listed the exchanges that Tron supports below. Wondering where can you buy Tron cryptocurrency? Due to its popularity, many exchanges support Tron cryptocurrency. There are over 80 cryptocurrency exchanges where you can trade Tron and that seems to be growing continuously. Here’s a list of the exchanges that support TRX. Note: Tron is not listed on Coinbase. There were rumours that Coinbase will eventually accept Tron but nothing is confirmed yet. Tron is an ERC20 Token, originally created from the Ethereum blockchain. It's actually migrated to it's own blockchain now. The Trezor, Ledger Nano S, MyEthereWallet, MetaMask and Eidoo are all valid options for storing Tron. Like any cryptocurrency, the safest option is a hardware wallet. That’s because exchanges get hacked all the time. So it’s safer and more secure to handle the private keys by yourself. Pro Tip: Want to keep your Tron tokens secure? Check out my guide to the best hardware wallets.